To build your own metal swingset, you will need 2 Pipe Hangers for each standard belt swing position. 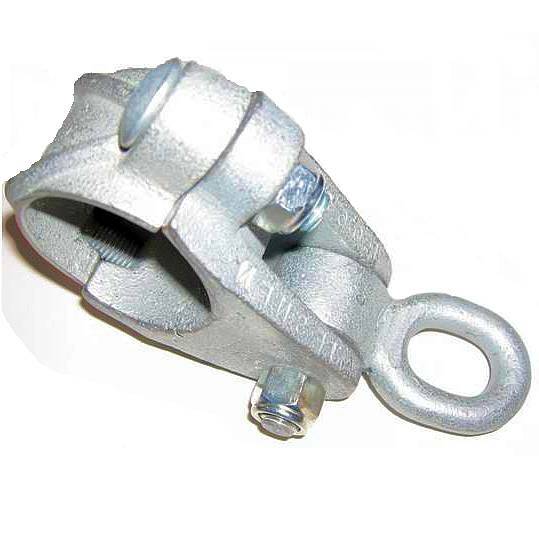 Each Pipe Hanger is made of strong ductile iron and galvanized to prevent rust, these commercial grade swing hangers feature an "oil-lite" bronze bearing and axle bolt, which threads into the frame with a nut for double protection and extra safety. This hanger is made for a schedule 40, 2" I.D. pipe which is 2-3/8" O.D. Determine spacing of swing hangers on pipe by consulting either Figure 23, Table 7 for commercial swings, or for residential sets see spacing dimensions for ASTM 1148 diagram. Mark pipe with correct spacing. Place the two halves of the hanger around the pipe. The round swinging pendulum will be facing downwards. The side bolts are placed with the heads on the top of the hanger and the threads facing downwards with the nuts on the bottom. Tighten the side bolts to touch and using no more than 25 lbs of torque. The top and bottom hanger do not have to be flush. There can be a space between the two halves. After tightening, the threads should not be showing more than two threads past the nut, and the hanger should fit snuggly on the pipe. Grease or oil bushings if squeaking noises are heard. You will need to use S-hooks or H-shackles from the chain to the swing hangers. Make sure the S-hooks are closed to within .04 to meet ASTM safety standards. To do this you will need to use our S-hook pliers or a regular pair of channel lock pliers. Close according to Fig A1.19 for Fastening Devices. WARNING: Once the S-hooks have been opened they will have to be replaced to avoid injuries from coming open and/or breaking. 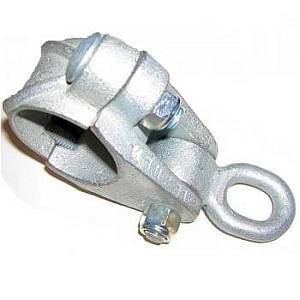 If using an H-shackle the large end goes thru the swing hanger. Using a H175 wrench to open and close bolts. Make sure that if you are using shackles they are also tightened. Safe Use: This is designed for children up to and including 12 years old only. Adults should supervise children at all times. Do not allow children to use unsafely. Do not allow it to be used if damaged. Any damage from vandalism, abuse, and/or misuse are not covered by warranty.